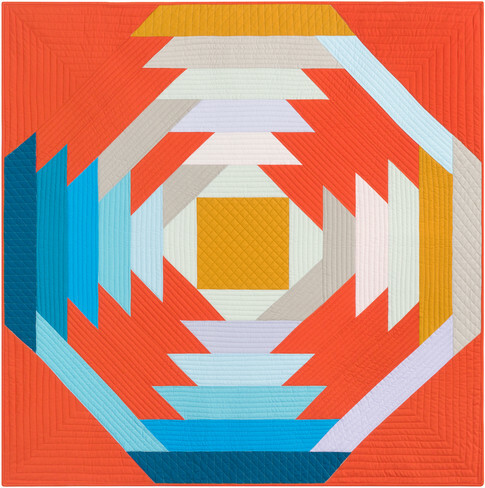 We're keeping it simple for summer at Quilt Inspiration and featuring a showcase of modern quilts. 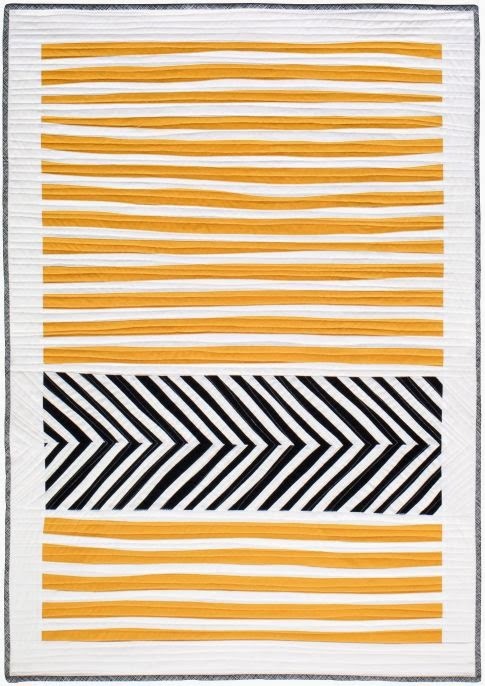 These original designs have a bold impact and straight or flowing lines, but the quilting is anything but simple. 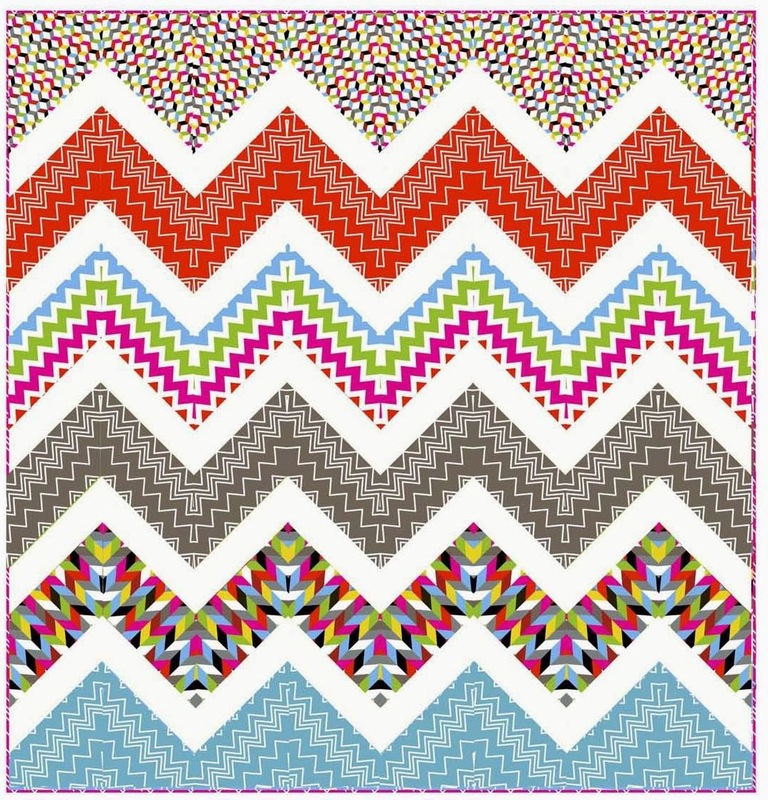 We hope you enjoy these quilts as much as we did! 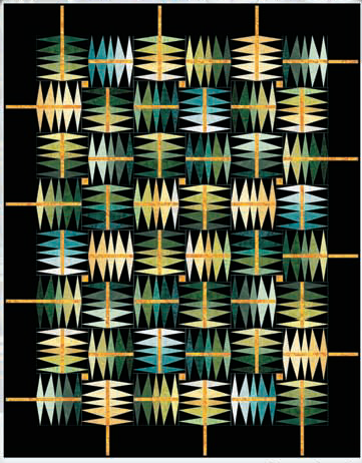 Claire notes, "Mid-Century textiles and graphic design inspire this composition with its bold flat colors and simple geometric shapes. The interlocking forms float through space; they try to separate, but it is impossible." 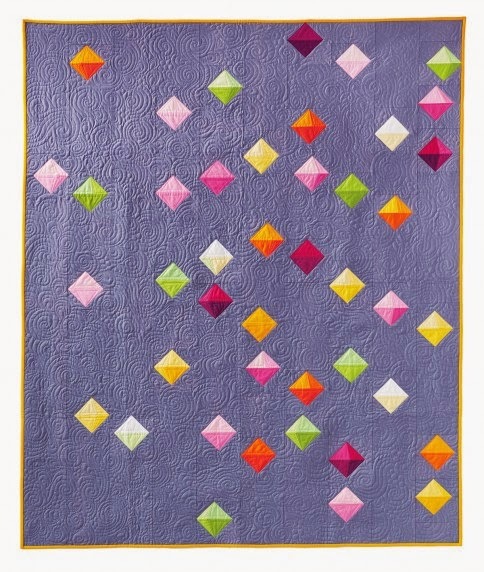 Claire's choice of light and dark hues in the foreground provide a fascinating sense of dimensionality in this quilt. Her original design is hand pieced and sewing machine quilted. 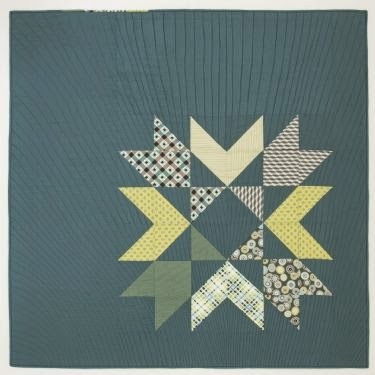 Uta notes, "[This quilt has] a lot of green scraps that were begging to be used, plus a friend's comment that she didn't know of many green quilts, were the inspiration for this quilt. Hand stitching and contrasting colors added the "zing" factor." 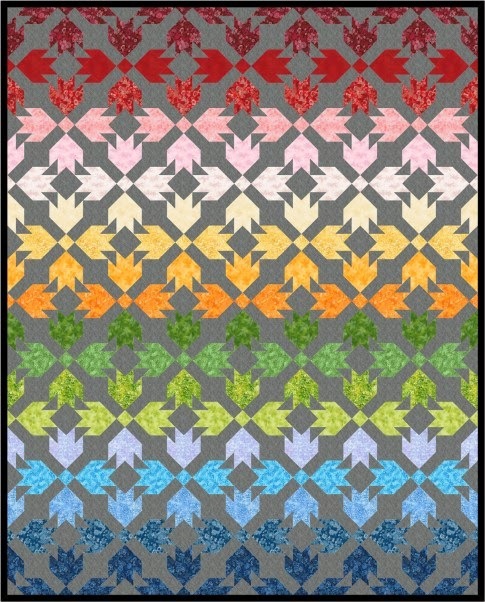 Here you can see some of the thousands of hand stitches scattered over the quilt. 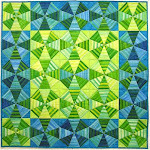 Uta's amazing quilt is proof of the tremendous range of green hues. This original design is machine pieced and hand and sewing machine quilted. 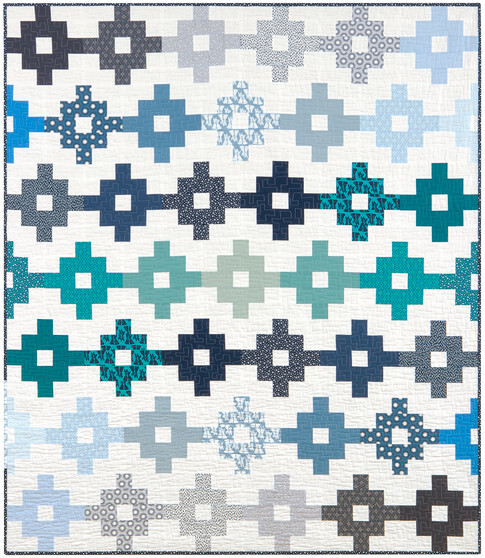 Blue ribbon winner for Best Hand Workmanship in a Modern Quilt, Suzanne comments that the inspiration for this quilt came from a beach towel she purchased at Wal-Mart. Suzanne's resourcefulness is a reminder to us that motivation and ideas can come from many varied sources if we just look around us. 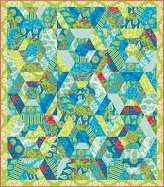 Suzanne's fun, very contemporary design is all hand pieced and hand quilted. Whimsical Mondrian is clearly a tribute to Dutch cubist painter Piet Mondrian and his famous style of creating bright, colorful geometric motifs in primary colors. 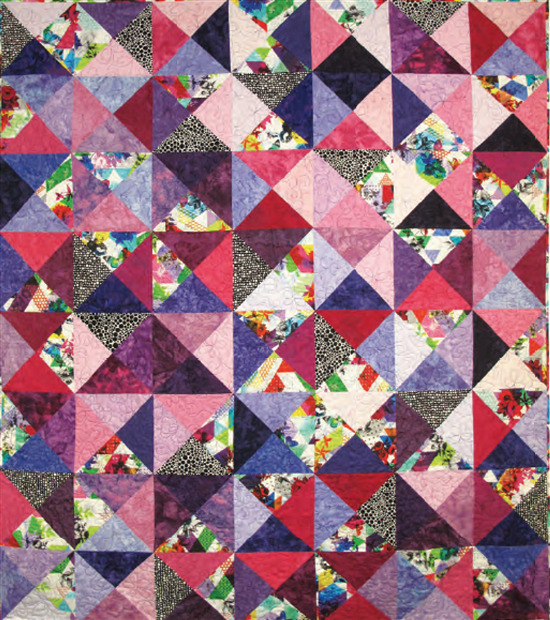 The quilt artists' original design is machine pieced and longarm quilted. 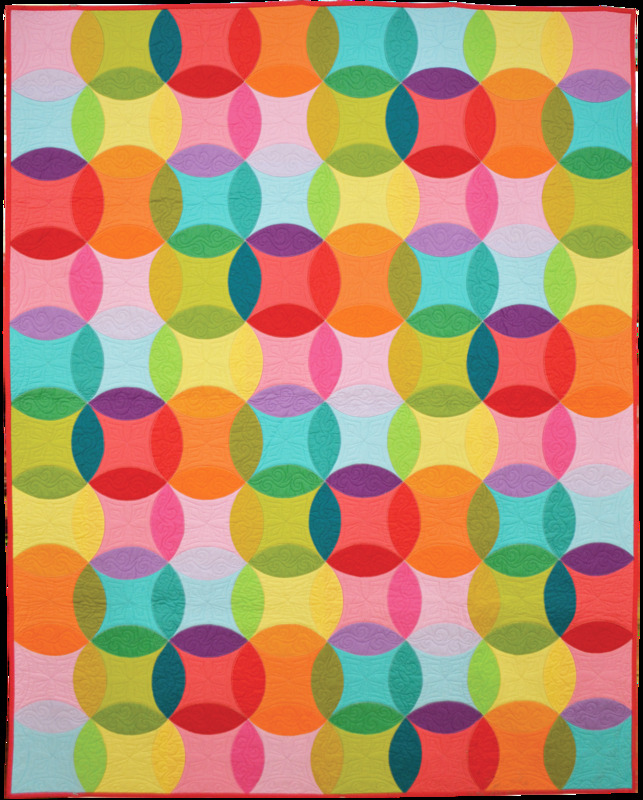 Mary explains, "The colors reminded me of Lifesavers and Fruit Stripe bubblegum, so I came away with the name Fruit Flavors. 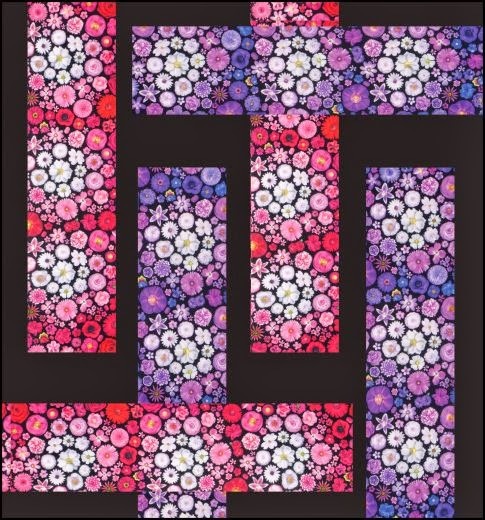 I enjoy matchstick quilting; and I used different colors in each block and two different colors on the background." 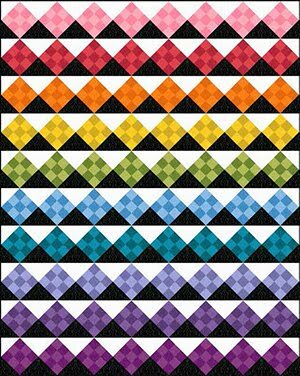 These pretty rainbow blocks are based on the fractal block pattern by Patty Sloniger. 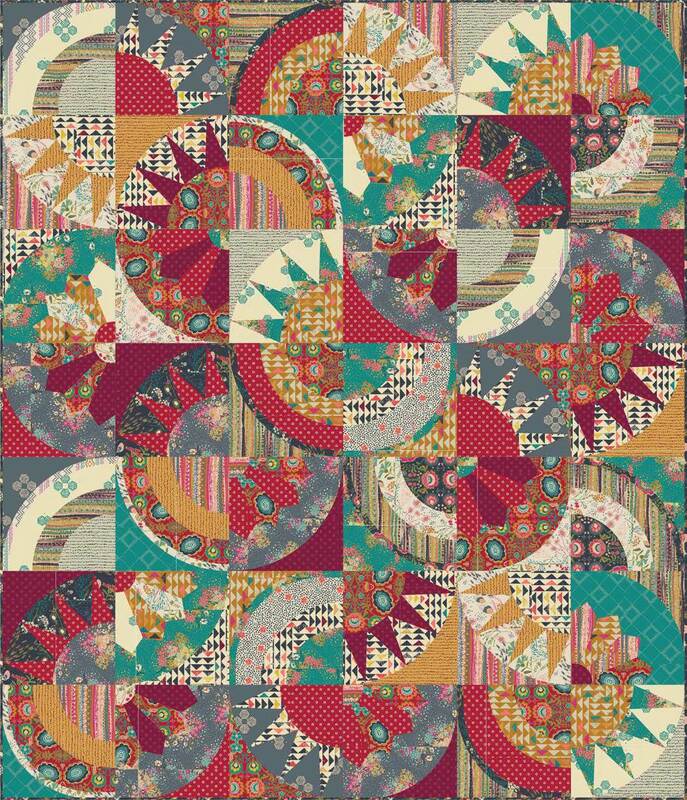 Mary used the Sun Print collection from Andover Fabrics to make this original design, which is machine pieced and sewing machine quilted. 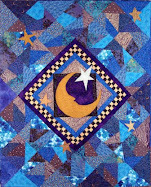 Barbara says, "The center star was created using a 45 degree diamond ruler; and the star border was created in Electric Quilt Software." We love the traditional cottage stars on the inner border, juxtaposed with modern spikes on the outer border. To us, that is proof that traditional and modern motifs can often work very well together. 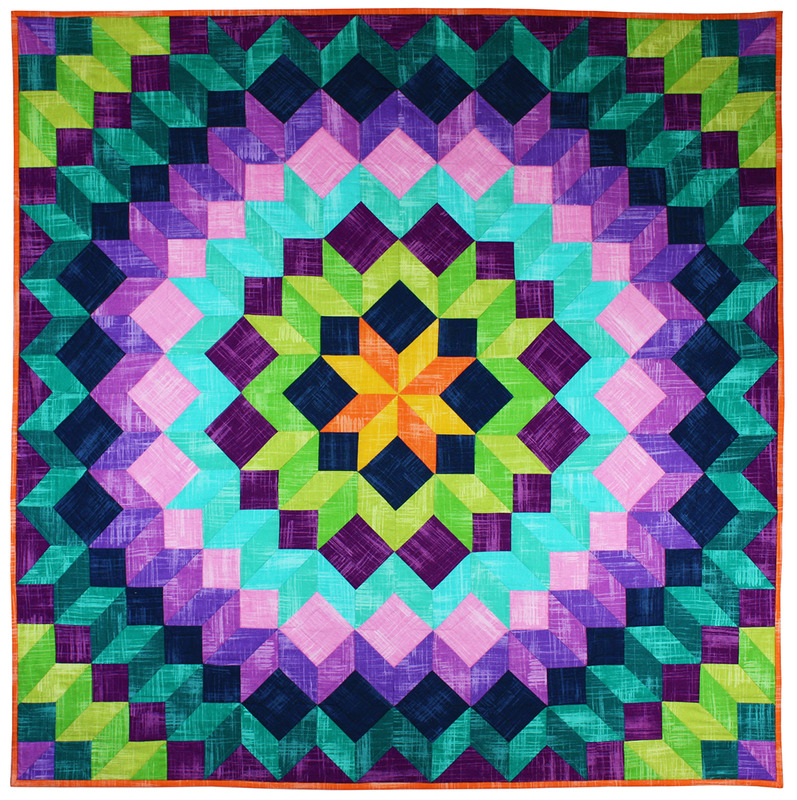 Here's a closeup of the "sunset" colors of the center medallion, surrounded by fabulous longarm quilting. 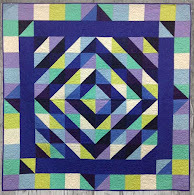 Barbara's lovely original design is machine pieced. Jamie says, "My oasis is to be over the edge, pushing the envelope on my designs and quilts : to grown, and change and evolve." Bright neon colors and geometric motifs give this non-representational design lots of high energy. Jamie fused fabrics onto a foundation of wool-blended felt and used painting and stenciling, along with free motion machine quilting. 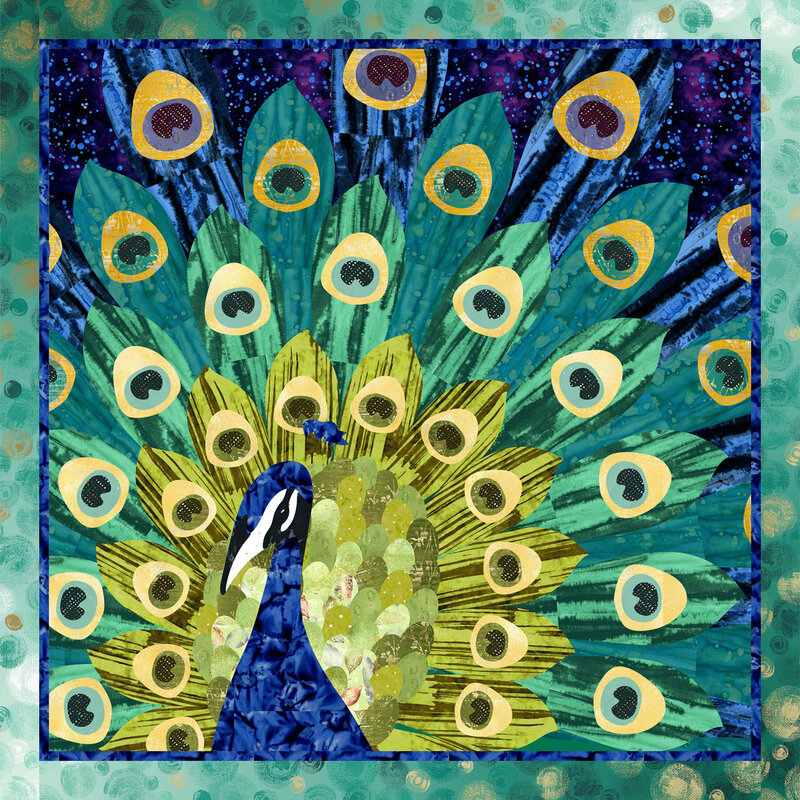 Laurie explains, " As a clothing artist, 'stained glass' style applique was my surface design of choice., so it was a natural transition to create appliqued quilts. Living in Palm Springs, the Mid-Century Modern influence surrounds me. Lyrical abstraction by Bienko Glass, Delauney, Miro, Frank Stella, and Peter Max." We love the whimsical, sprightly flowers at the bottom of this piece ! 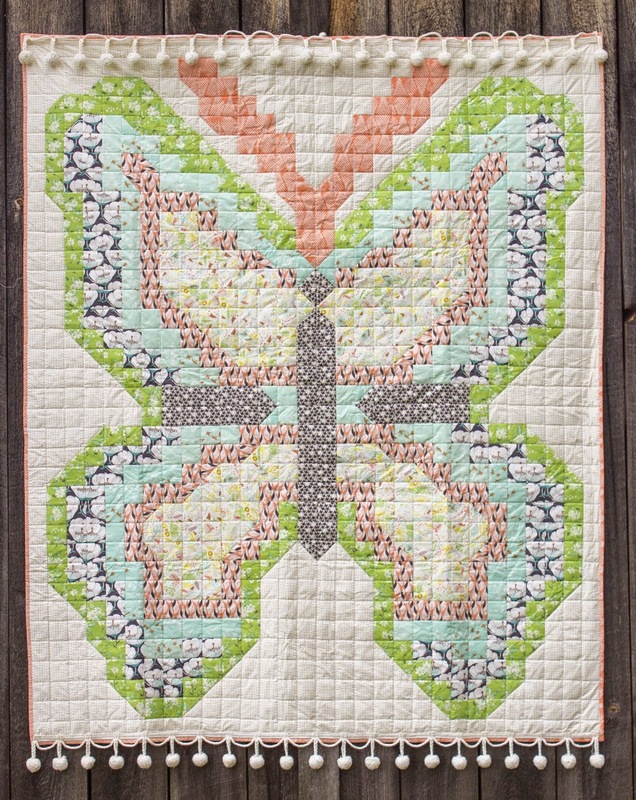 Laurie's original design is machine pieced and appliqued, and sewing machine quilted. The artist notes, "As a child, I thought I might be an architect and was always inspired by Frank Lloyd Wright's design of the Falling Water House. My design is based on the title of the home and the curve of modern bentwood furniture, using arcs, quilting, and color to tell the story." Along with the title of the Frank Lloyd Wright house, these pointed spires remind us of cathedral arches or multiple exterior rooftops. 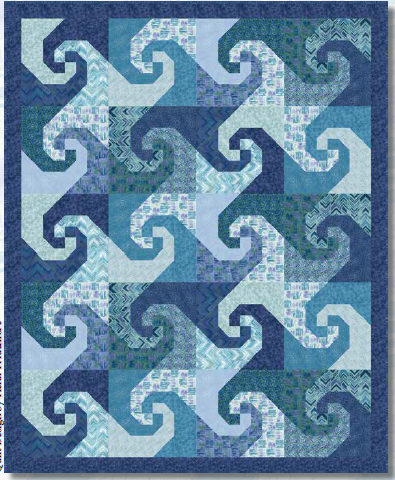 This original design is machine pieced and longarm quilted. 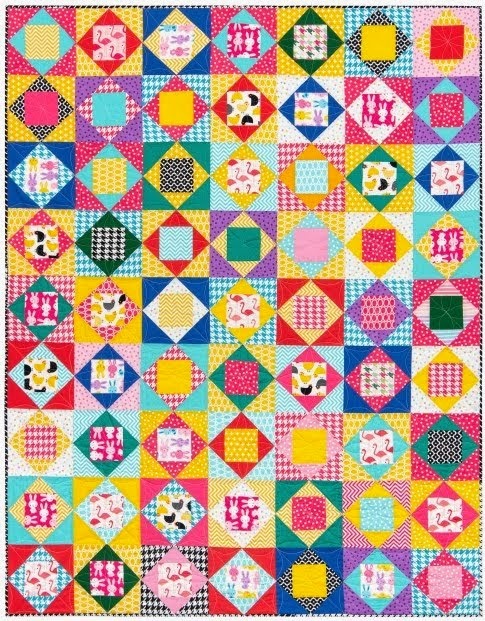 Caroline writes, "I have taken the historical roots of quilt making as my inspiration, particularly antique sampler quilts. I have made a contemporary sampler using old designs, nineteenth century fabrics, paper and batting in juxtaposition with their present day counterparts and techniques, like fusing and photo transfer. Script on old hexagons are included. The letter shapes suggested are inspired by modern paintings." 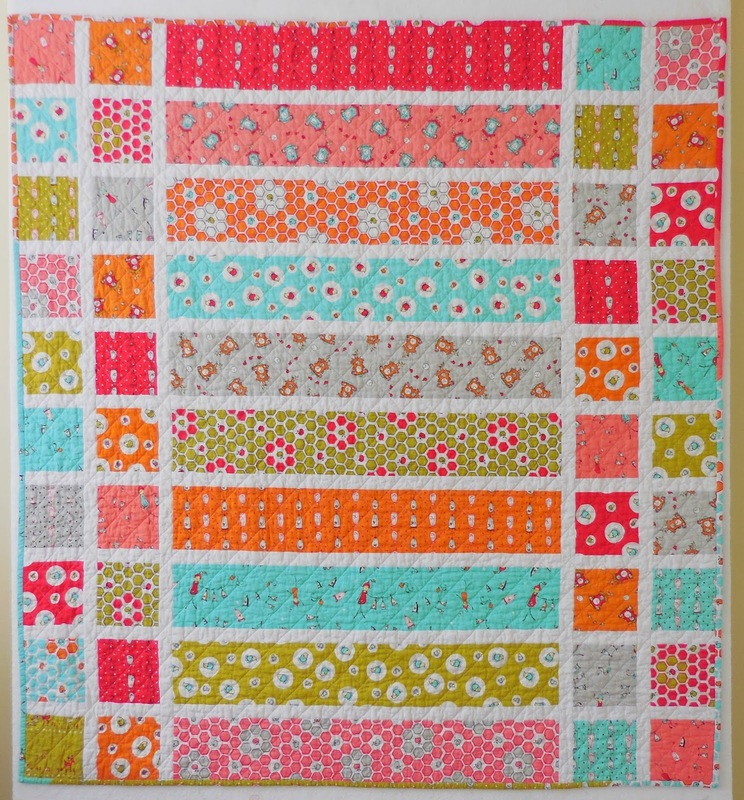 We love quilts with lots of visual stimuli, and Caroline has something fascinating to look at in every block ! 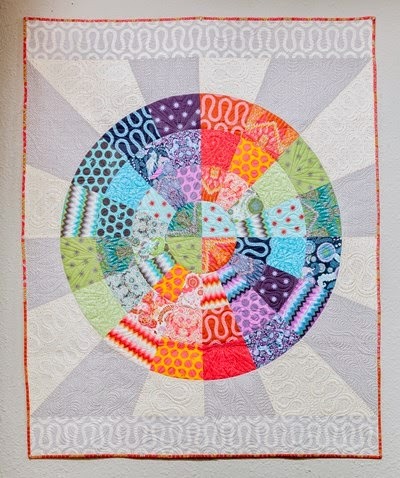 Her original design is hand and machine pieced, hand and machine appliqued, and hand and sewing machine quilted. Monika states, "25 years ago, I was a Critical Care Nurse. After retiring, I was able to start quilting. My many years of sewing experience have been very helpful to me in this endeavor." We admire this beautiful display of analogous colors, which provides gentle, yet very pleasing contrasts. 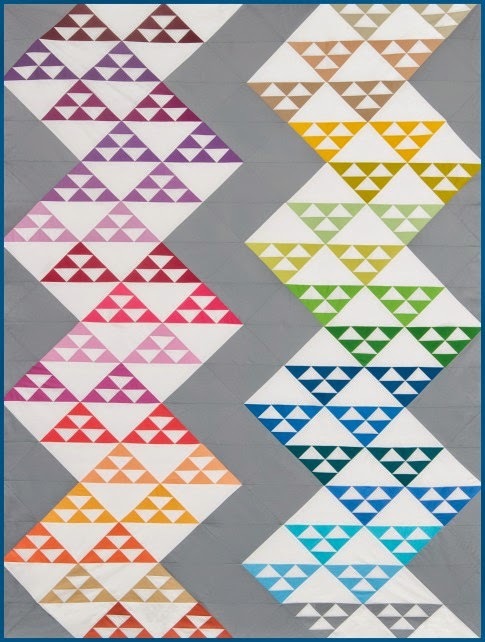 Monika continues, "My interest in water color paintings is always an inspiration for me in my original quilt designs." 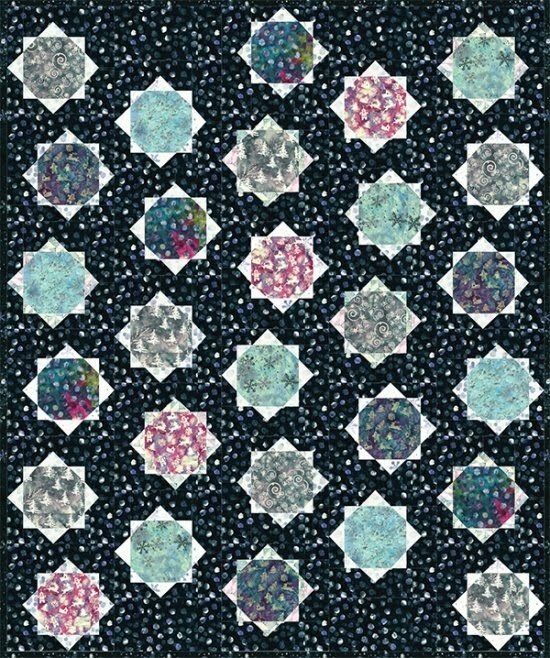 "Hearts" is machine pieced and longarm quilted. Linda comments, "I used bold lines and colors to convey a feeling of emotional turmoil. 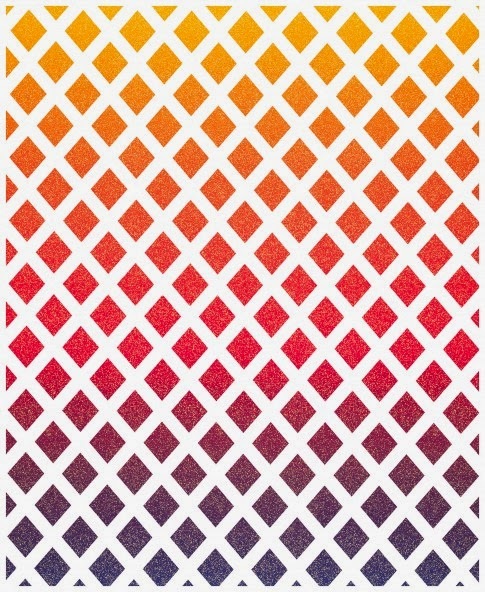 The clean lines which are in opposition to the scattered tiny embroidered particles and the color selections are intended to cause a sense of unease or tension. It's similar to artists from the mid 20th century in that it is abstract, organic, and two dimensional, but it's obviously a modern work from the 21st century, here and now. " We admire the precise workmanship on this fascinating work Linda's original design is machine pieced, machine appliqued, and sewing machine quilted. 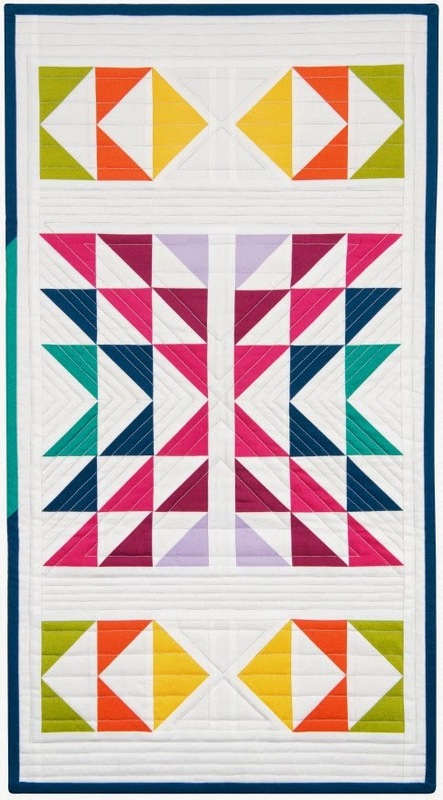 Wendy explains, " [This quilt] was designed for my daughter Ashley. She filled our house with years of piano magic. The quilt design evolved after seeing her most recent body art that was inspired by ships' camouflage during World War I, called "dazzle painting." The "dazzle" made it difficult to estimate the ships' range, speed, and direction." Wendy's original design is machine pieced, hand appliqued, and sewing machine quilted. 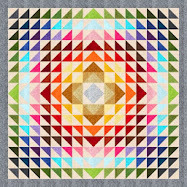 We enjoyed this intriguing very well-done quilt, which reminds us of the fun "op-art" designs of the 1960's. 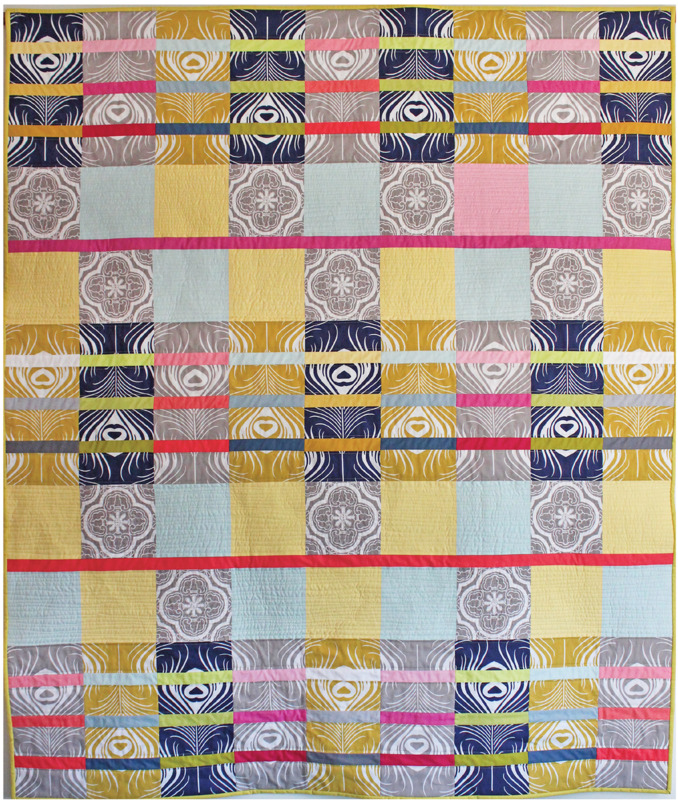 Emily states, "This is my fifth quilt in a series of pineapples with an original "rings" color arrangement. I love playing with traditional blocks and making modern fresh arrangements." 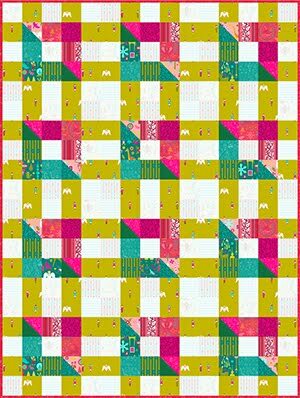 By setting these blocks into a motif of interlocking rings, Emily has provided an updated, contemporary look to this traditional pattern. Emily's original design is machine pieced and sewing machine quilted. Arleen notes, "Cartwheels was started in an Improvisation Curve piecing workshop. 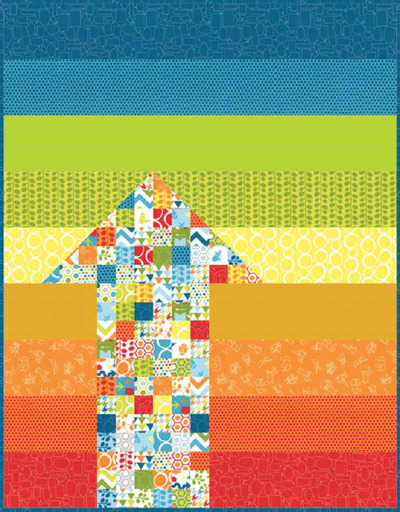 The fabrics come from a sampler pack of plaids and a Cherrywood Fabrics grab bag." 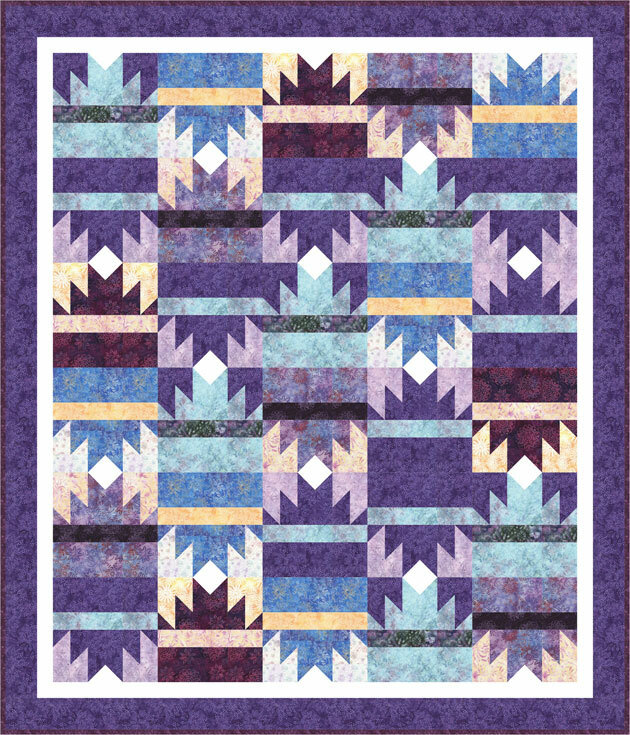 Arleen's original design is machine pieced and hand quilted. 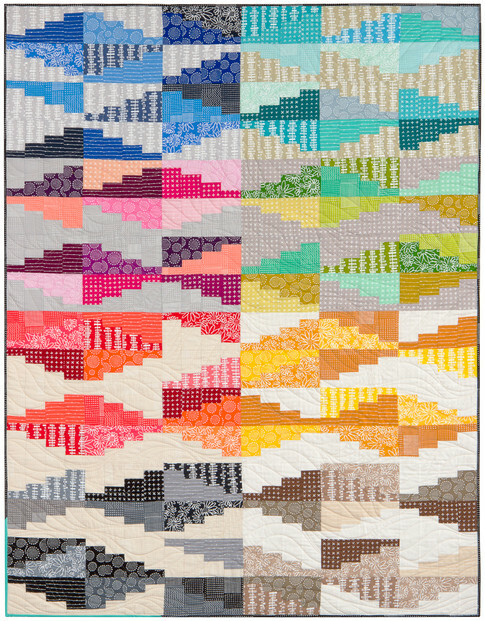 Blue ribbon winners for Best Longarm Machine Workmanship - Innovative Quilts at the 2016 World Quilt Show in New Hampshire, Colleen and Virginia write, "Admit one to a journey over the sands of time: how people and ideas evolve through time and history. One fabric begins the story as the block centerpiece, moving into the next position as a new fabric is added and continuing until the sixth block is complete.Then, one fabric drops out as a new one is added - a fun challenge to pick fabrics that would play well together as the color story evolved." 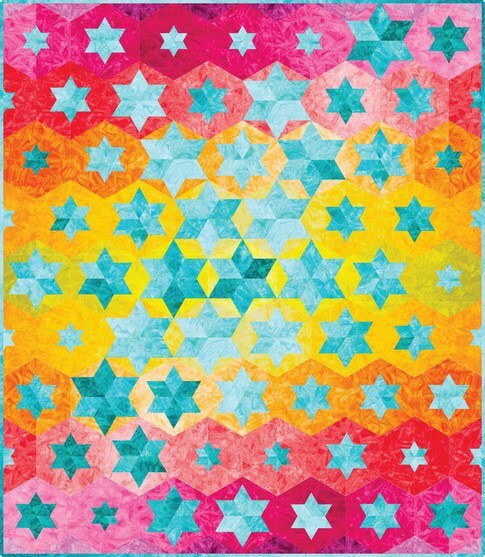 Stunning quilting motifs mirror and enhance the geometric and circular shapes of the blocks. 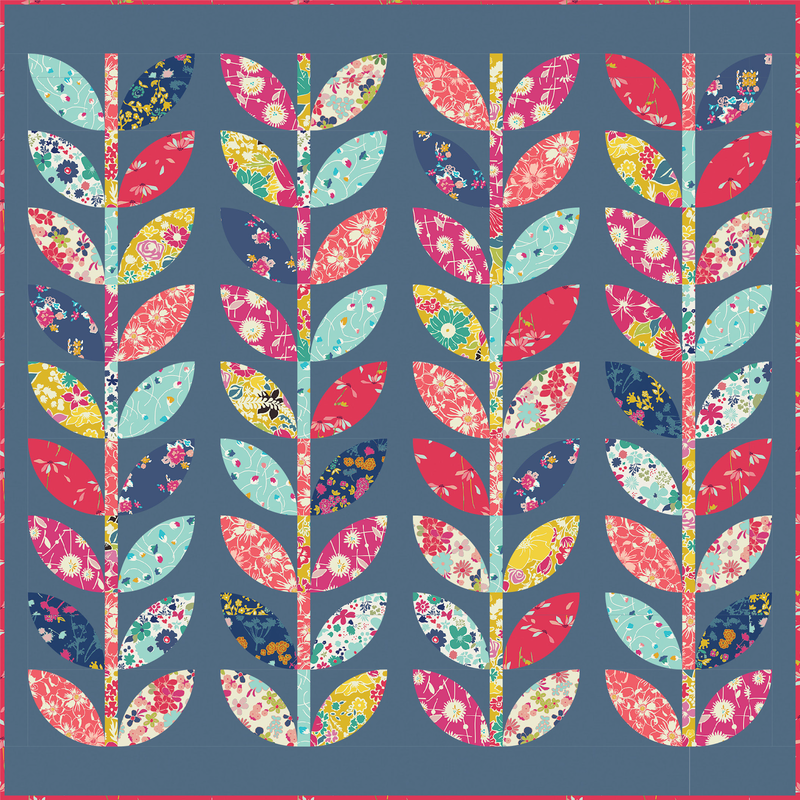 This fabulous original design is machine pieced. 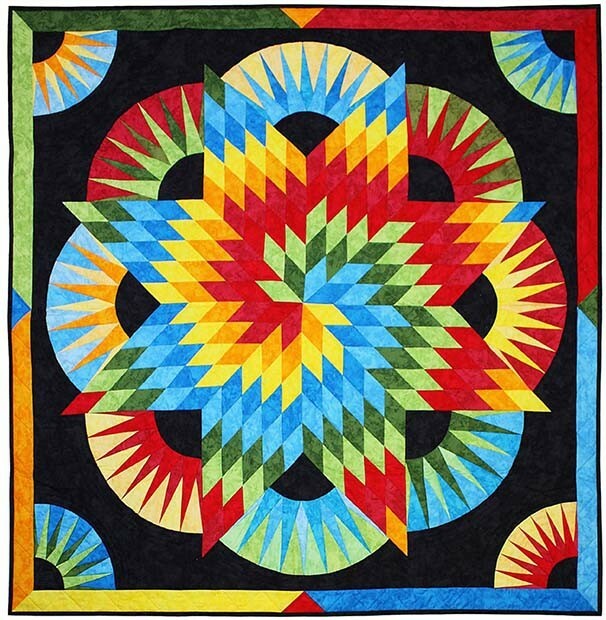 Blue ribbon winner for Best Machine Workmanship - Innovative Quilts at the 2016 Pacific International Quilt Festival, Victoria says: "I'm a farm girl living in the Big Apple (New York City). If it were not for where I came from, I would not be doing what I am doing now. I cut up my families clothes to make this quilt and to tell this story of a farm girl and all that she is proud of. [I am] using the star as my direction to find joy and [using] the double wedding rings to show what binds us together." 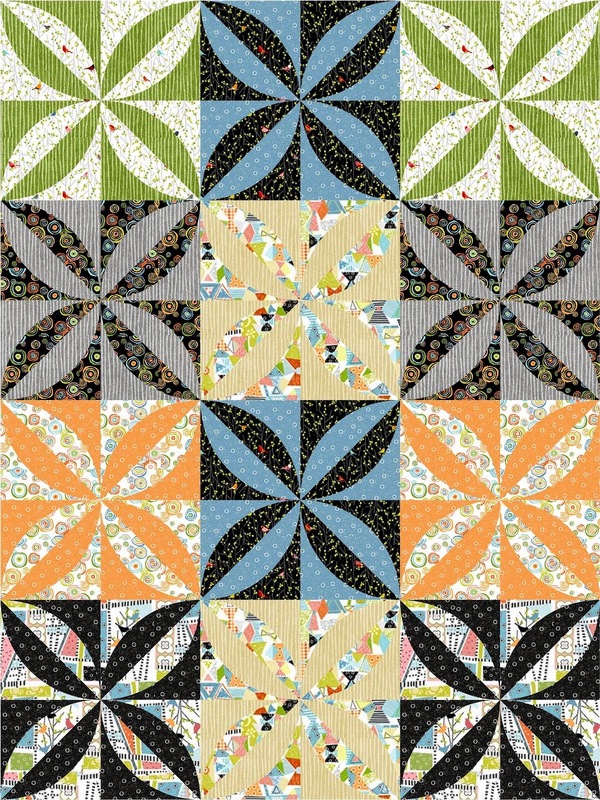 Victoria's dazzling original design is machine pieced and makes excellent use of gold, beige, gray, and blue cottons against a white background, enhanced by Karen McTavish's award-winning quilting. "Ikat" is a tie-dyeing technique from Indonesia, in which the yarns are wrapped tightly prior to dyeing and weaving, so that when the color is applied, it appears unevenly. 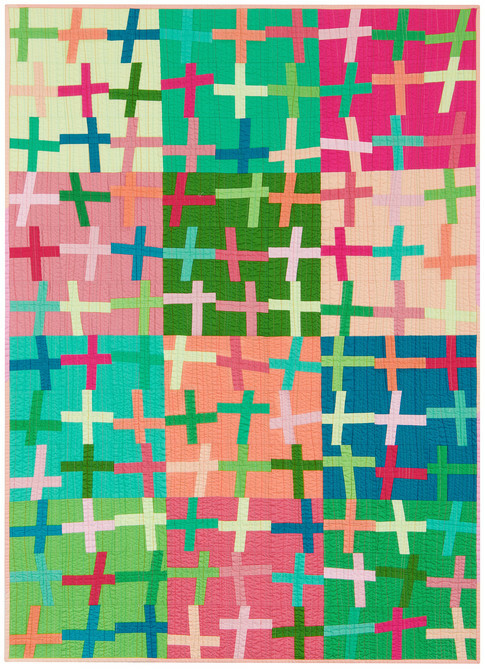 Arleen notes, "[This quilt] is made of treasured Japanese double ikats and Kaffe Fassett ikats. 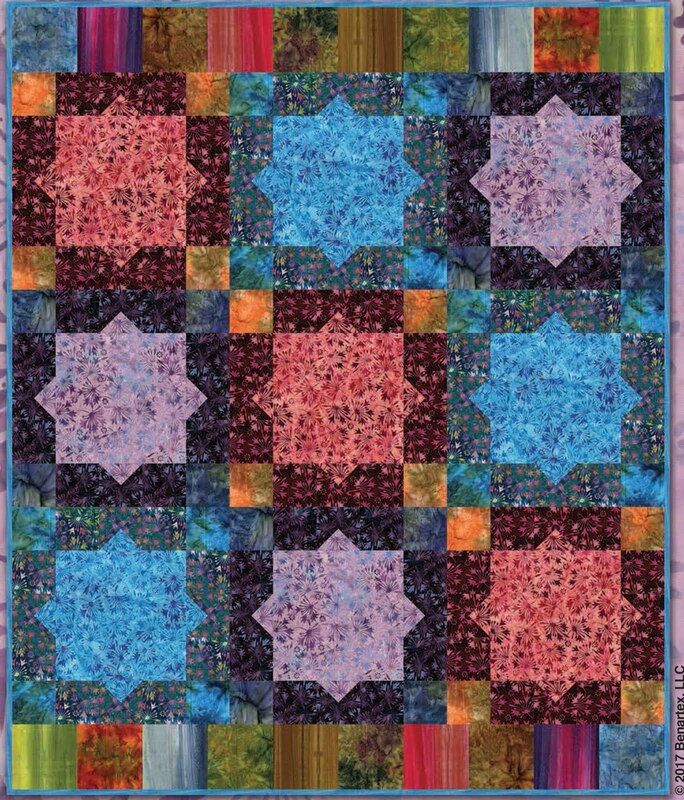 I wanted to highlight the beautiful fabrics and chose Pat Yamin's Magic Squares pattern. 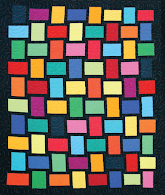 Arleen's colorful, eye-catching quilt is machine pieced and sewing machine quilted. 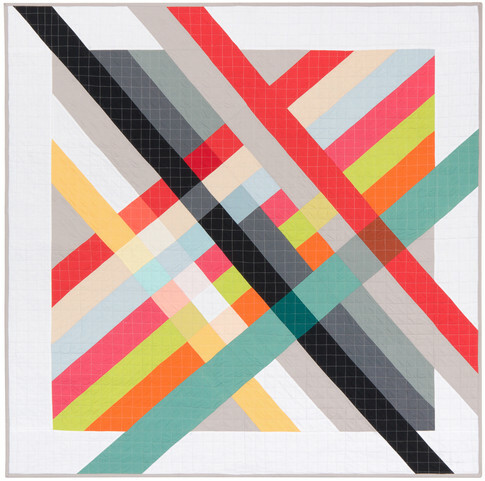 We're keeping it simple for summer at Quilt Inspiration and featuring a showcase of modern quilts. 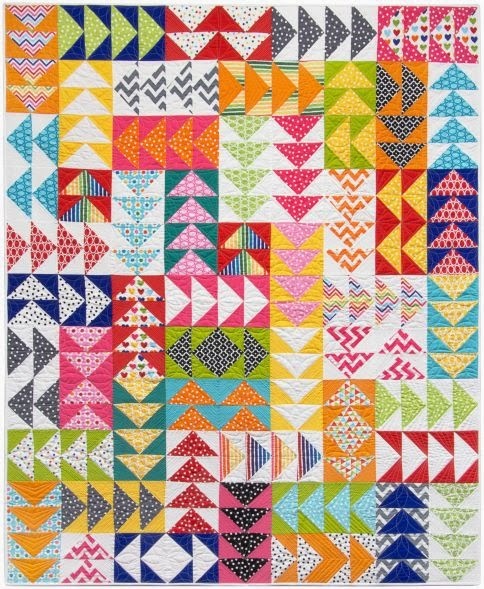 These original design quilts have a bold impact and straight or flowing lines, but the quilting is anything but simple, as you will see from the closeup photos. 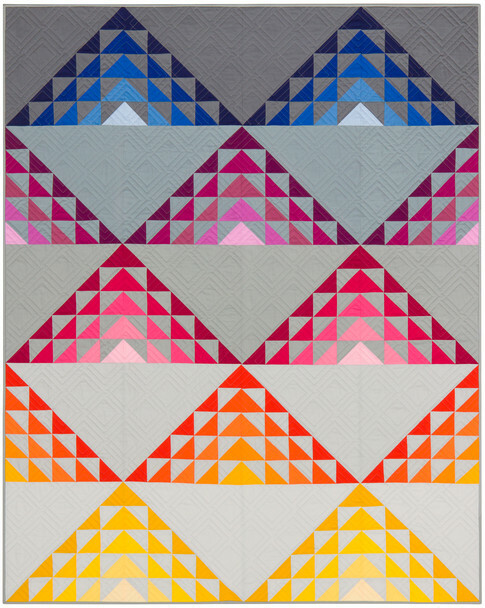 We hope you enjoy these quilts as much as we did! 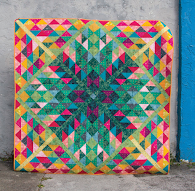 Sharon says Dandelion Dreams is her first modern quilt and hopefully the first in a series. It was hand appliqued and sewing machine quilted. 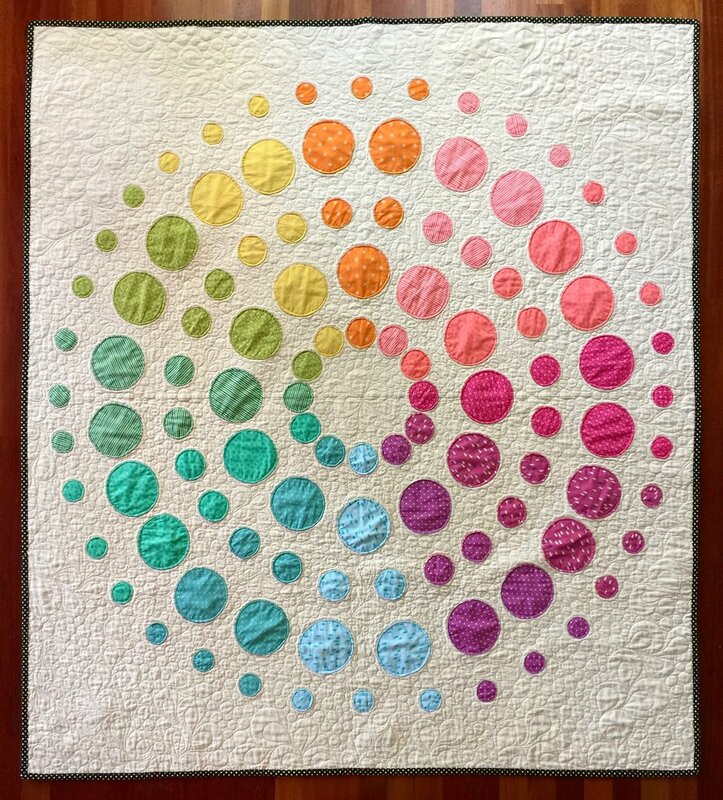 Carolyn S. Davis says, “This is my first attempt at a modern quilt. I wanted to combine the old (30’s repro fabric) Dresden plate with the basic stripped fabric. I saw somewhere where someone had added a slightly different shade in a striped pattern. 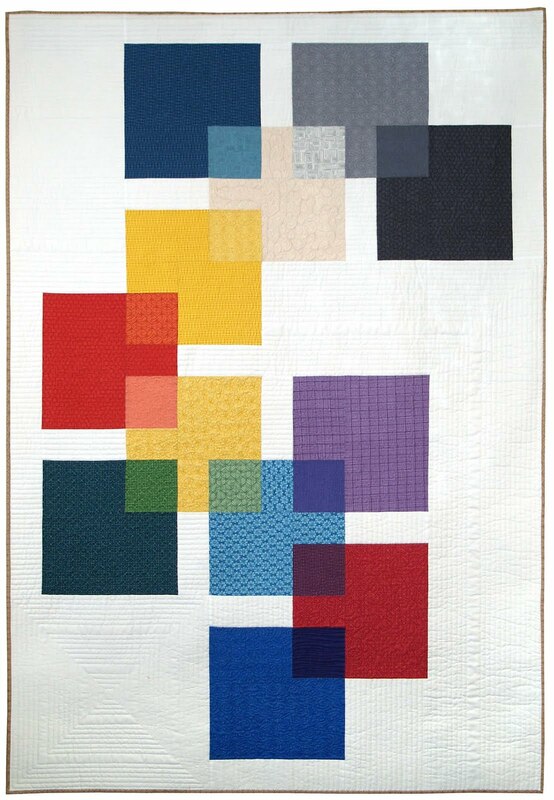 This combo pleased me with the beautiful quilting (by Becky Everett) in the negative space" (shown below). 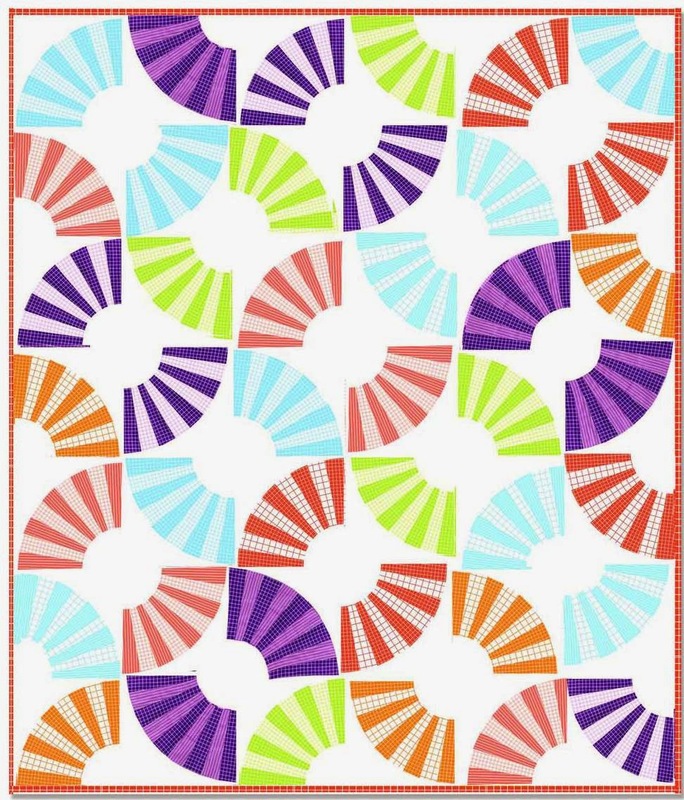 We love this giant version a Snail's Trail block, enlarged to over 6 feet. It reminds us of an underwater scene with cool blues and greens. The artists say, "This quilt speaks to the importance of life’s foundation: healthy seeds, water and the interconnection of all life on earth. 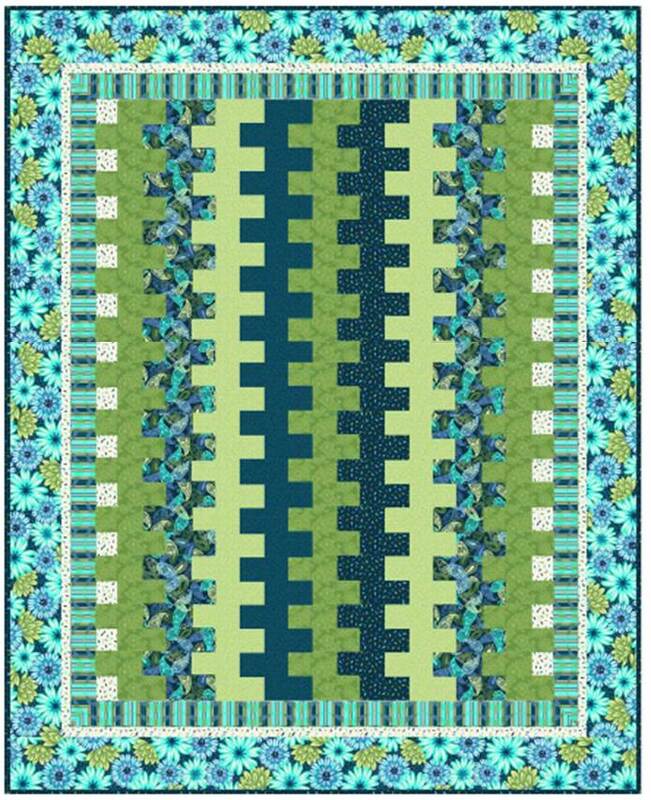 Inspired by a quilt belong to collector, Bill Volckening – a simple and traditional blue and white Snail’s Trail that a family friend made decades back. 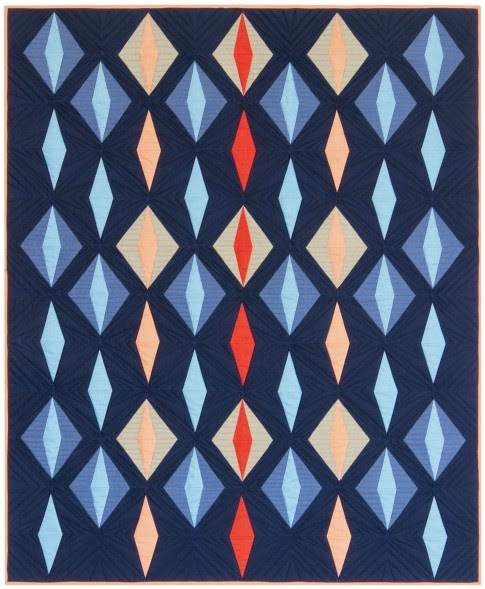 This is a contemporary update of the spirit, colors and movement of that quilt. 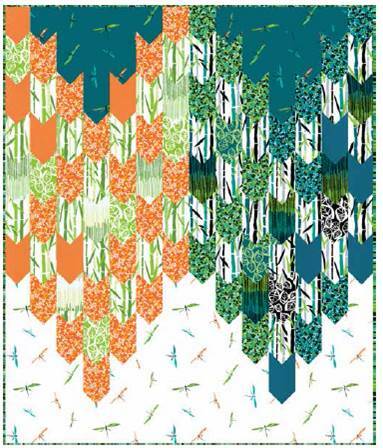 It was a fun challenge to get the big swatches of fabric to flow together." As you can see in the photo above, prairie points were used to create points at each corner of the design. An architectural print fabric was used in the background, creating lots of interesting texture. This is just a portion of the fabulous quilting on this quilt. Seeds of Life was machine pieced, hand appliqued, and long arm quilted. 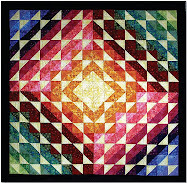 The dramatic contrasts and saturated colors drew us to this quilt. 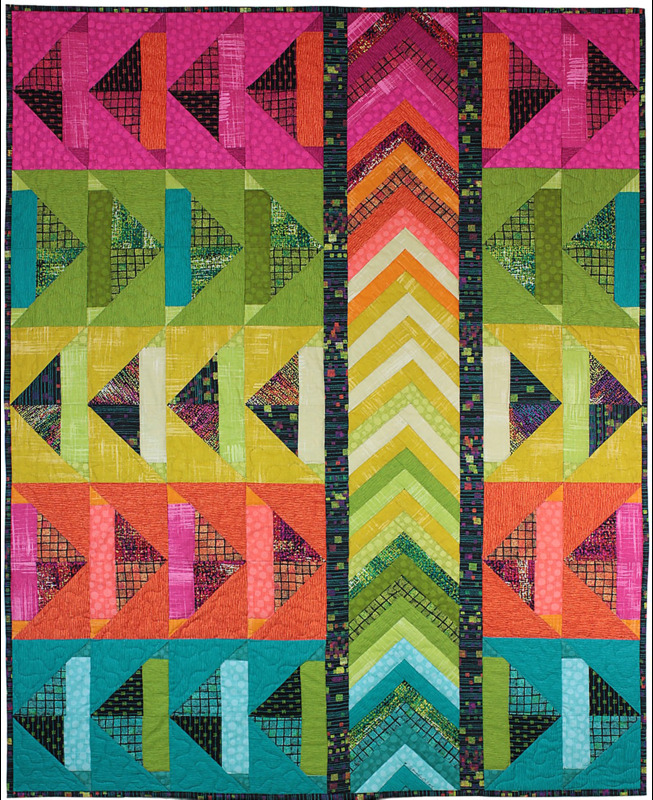 Melissa Miller Curley says, "This quilt was inspired by my quilt guild’s half rectangle triangle challenge. 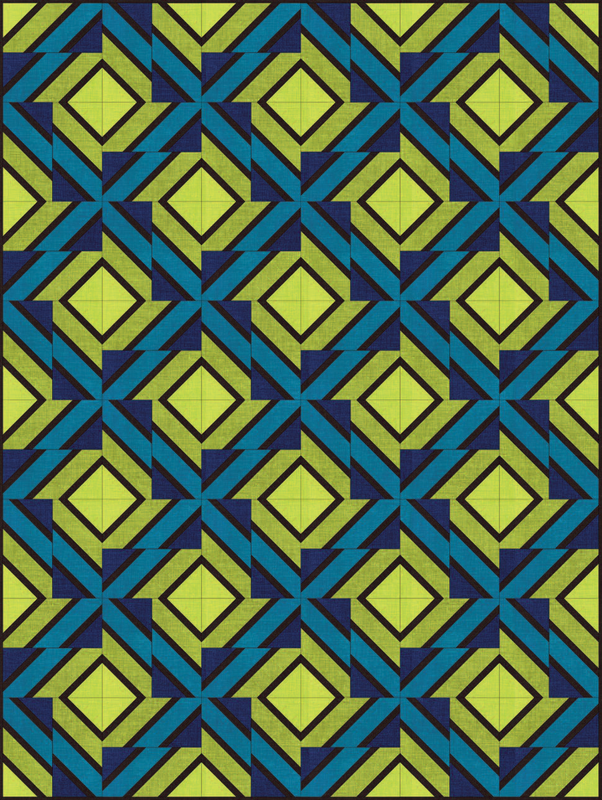 I know that the design could have used strips but I wanted to keep the original HRT going, for this quilt would not have been if it weren’t for that challenge. 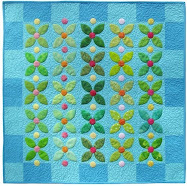 I chose to use soft organic line quilting to contrast a bit with the crisp lines of the pattern. 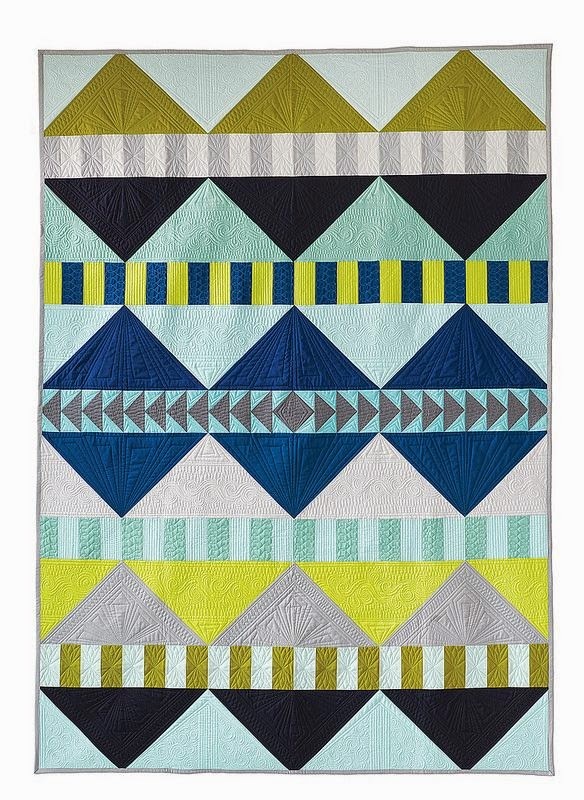 Gorgeous hand-printed fabrics make this contemporary quilt a work of art. Ruth Galpin says, "With its origins in Nature, “Pink” is an exploration of color and texture and my delight in the effects achieved by various processes. Mono-printed color over color gives visual depth and texture to the image. I am fascinated by the beauty I discover in the juxtaposition of small fragments of patterned fabrics pieced together." 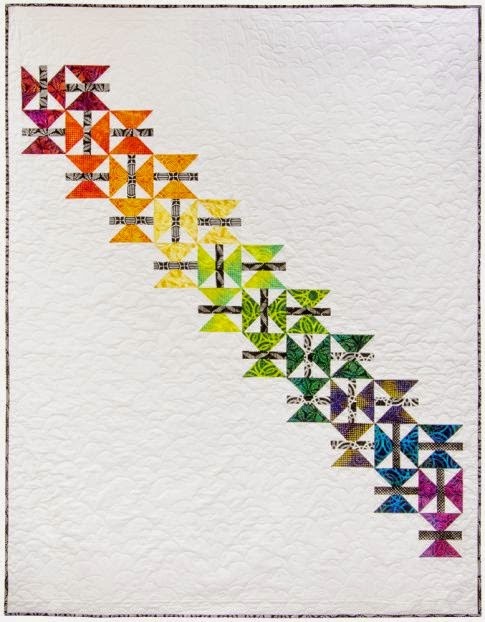 Vicki Ruebel took the humble half-square triangle concept to a new level with her longarm quilting. 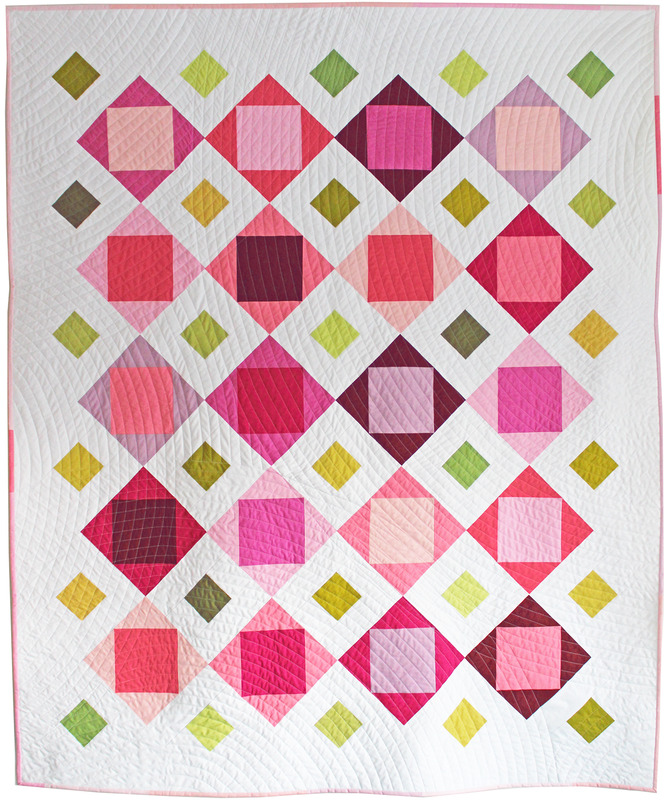 She says, "The color inspiration for my quilt was my new hot pink recliner. 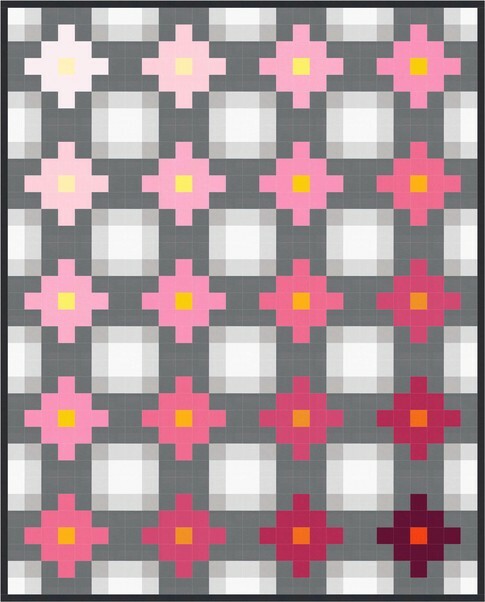 I wanted to create a quilt using multiple shades of hot pink and mustard yellows. 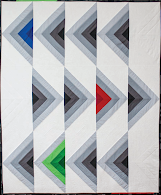 The simple pieced top is enhanced with various grid-based quilting designs." Image credits: Photos were taken by Quilt Inspiration at the 2016 Pacific International Quilt Festival (Santa Clara, California). Happy 4th of July! We're celebrating Independence Day with 8 days of red, white and blue quilts. The Declaration of Independence (July 4, 1776), says: "We hold these truths to be self-evident, that all men are created equal, that they are endowed by their Creator with certain unalienable Rights, that among these are Life, Liberty and the pursuit of Happiness." 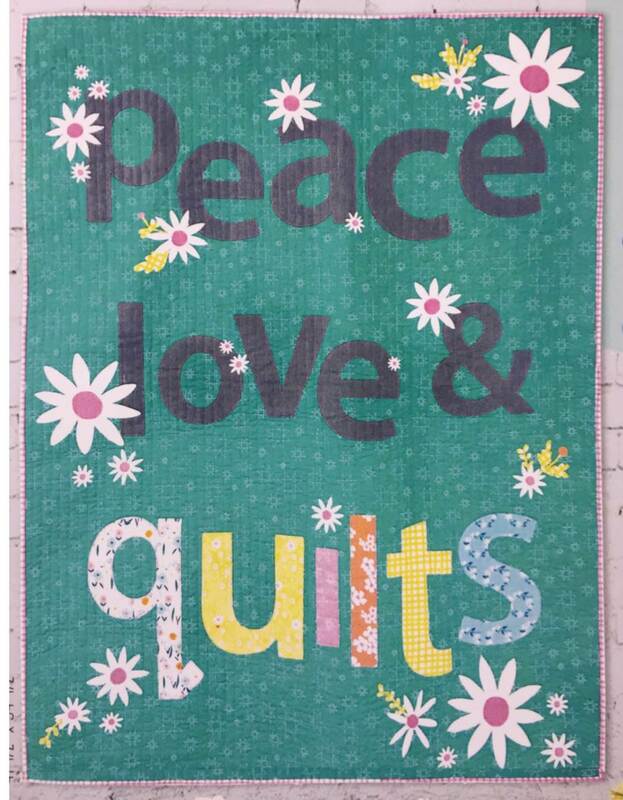 We hope your happiness includes plenty of quilting. 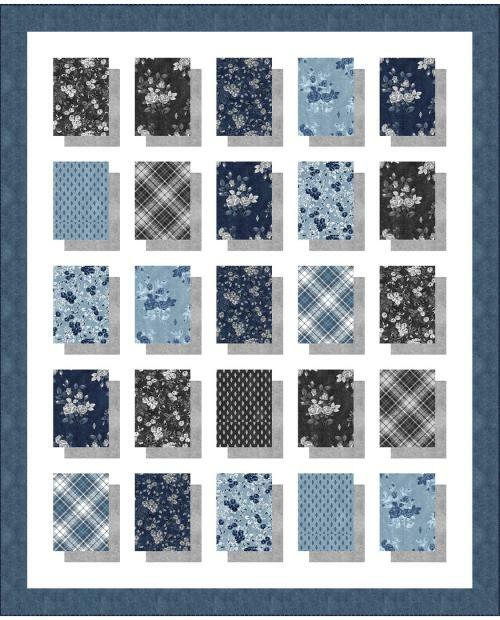 Patriotic Splash is based on the free Paisley Splash pattern by Mytesha & Katie (MY❤KT) for Windham Fabrics (click here to get the pattern!) The elephant, appliqued in a flag fabric, is holding a small flag pin (at the end of his trunk) while joyfully spraying drops of patriotic elements into the air. How appropriate for a salute to America and the Fourth of July! Cheri McGunagle says this tumbler flag wall quilt was made with a pattern from the Missouri Star Quilt Company, using pieces of fabric left over from the American Hero Quilts project. She says, "Being able to sew for our soldiers and display our colors is an honor I cherish. God Bless America!" 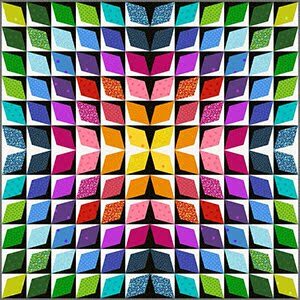 Image credits: Photos were taken by Quilt Inspiration at the 2017 Quilt Arizona show. 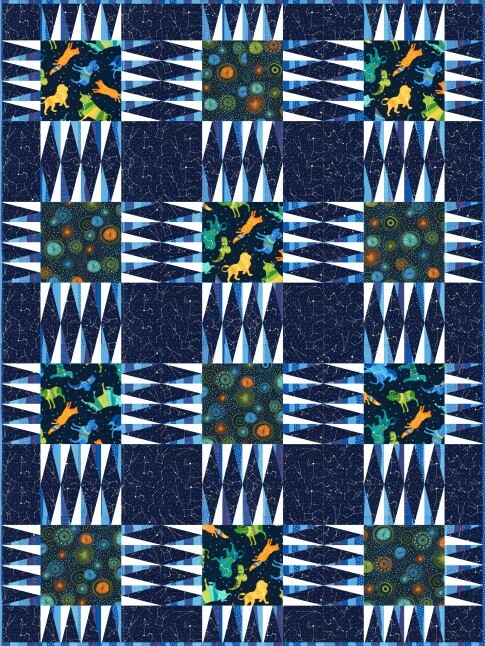 This quilt was entered in the Salute America theme.